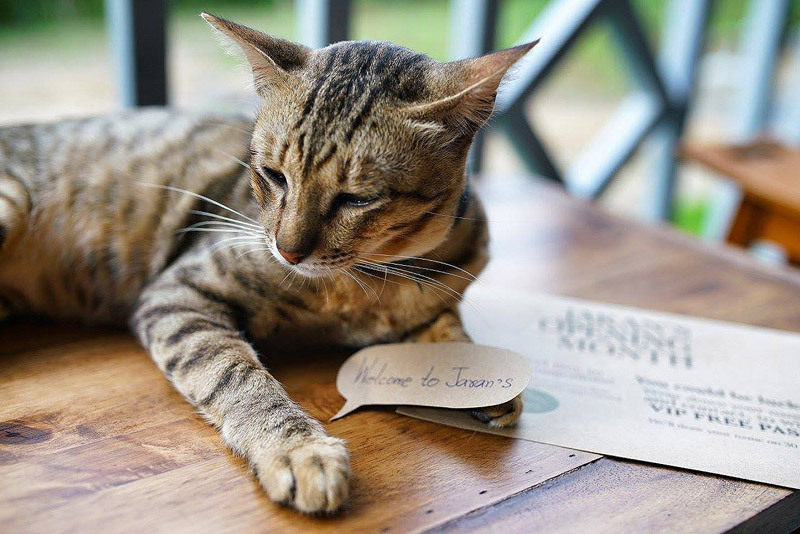 Jaran’s Yoga Wellness and Eatery is nestled in the heart of Koh Phangan towards the West Coast, seven minutes north from the main port of Thongsala. 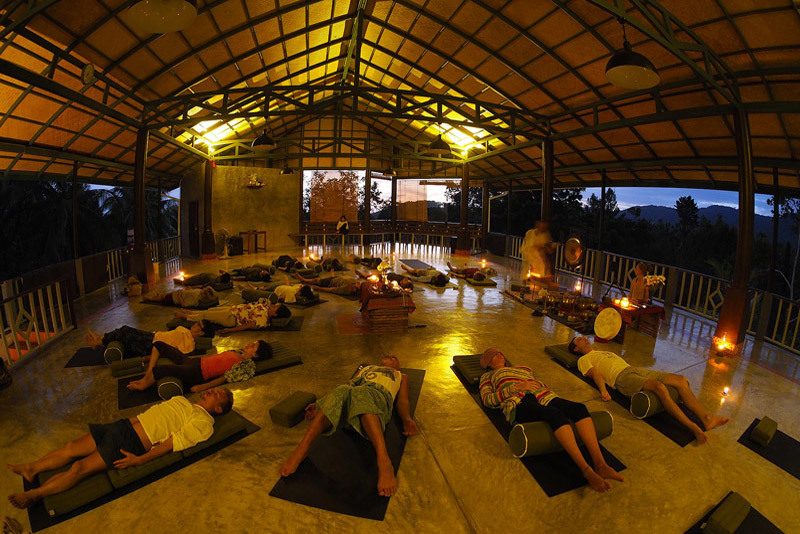 Situated upon sacred land in a peaceful environment in nature, providing the perfect atmosphere to relax and unwind. The quiet bay of Hin Kong is just five minutes away, as well as the lively hub and beautiful beaches of Srithanu Village. 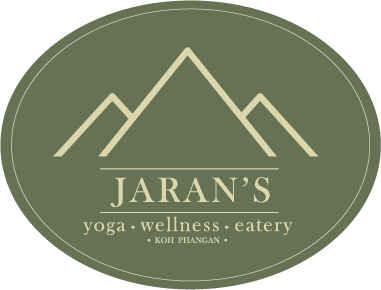 Jaran’s provides a harmonious environment in nature to explore yoga, lifestyle, wellness, sustainability and a new community base, to create wholesome contentment for heart, mind and body. It is a unique design concept, Thai owned and managed bringing a hearty slice of Thai culture and a homely feel. Nature itself comes together in a most amazing way to produce a peaceful, totally healing and calming environment, to create positive changes in your life. The ground floor eatery caters for vegetarian, vegan, raw and Ayurvedic diets, served by welcoming staff here for your every need. Jaran’s open-air eatery is the most inviting tranquil setting to connect with nature and either enjoy conversation or rest in solitude in a hammock. Jaran’s Yoga Koh Phangan has a powerful presence, and energy and intention radiates out from the team. What is the meaning of “Jaran”? “Jaran” is a traditional Thai word derived from the word จร /Jon/ meaning to travel or to wander, or in-depth meaning: path. Jaran’s offers a wide range of healing modalities that encourage you on your own unique path. At Jaran’s, we believe that health and pleasure create a great path in life. We honor “Jaran” from “Jaran Thongnual”, an extraordinary man and owner of this land. He told us that this area 200 years back at his great-grandparents’ time used to be called “Mueng San” (San Mine), and 70 years ago it was called “Thung Lark Phra”, connotations are not recognized. He said this area is favored among local Koh Phangan people to visit and look for varieties of edible and rare mushrooms when rainy season come. Right now, Jaran Thongnual lives healthfully at Chalok Ban Kao, Koh Tao, Suratthani that he and his family have settled for more than 60 years. Jaran, 86 years of age, granted this “Jaran’s” land to his oldest daughter, Penkwan, and in the year 2013, she passed this love forward to her oldest daughter, Khane. –	Khane Chompreeda, Jaran’s grand daughter and the owner of Jaran’s.